If you are looking for a ridiculously good salad, look no further. This salad is really awesome. It may possibly be my new favorite salad probably because it has all my favorite ingredients. The combo of crisp bacon, creamy avocado, and tangy feta is really out of this world. You can chop the ingredients ahead of time but I do recommend waiting to mix it all together til right before serving because the avocado will make the lettuce wilt. The dressing is simple, so it doesn't over power all the fresh ingredients. 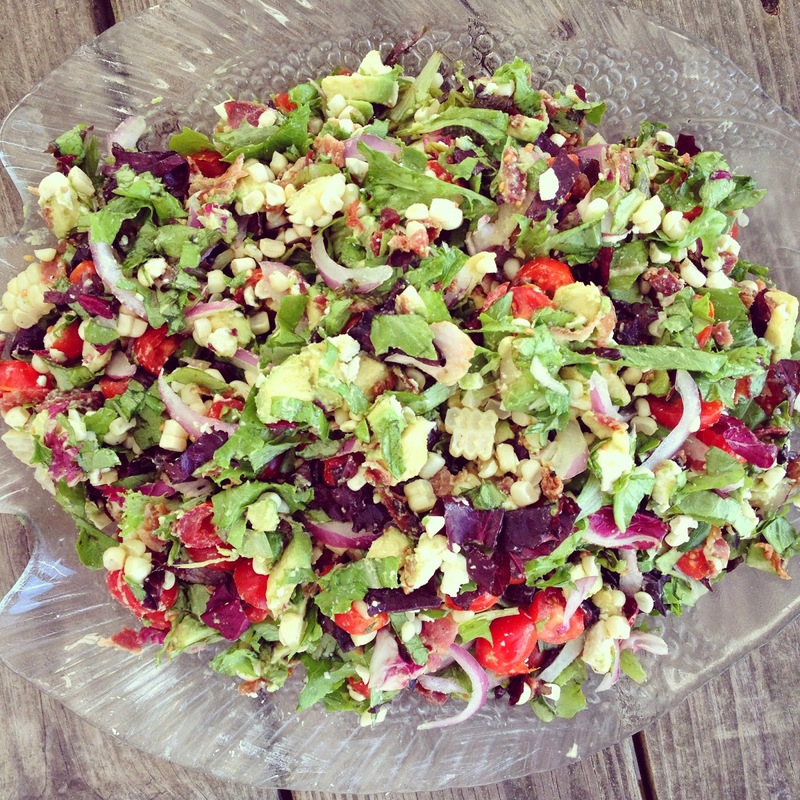 This is a perfect Summer salad! Wrap corn in foil and roast in oven at 350 degrees for about 20 mins just to slightly cook corn. Let cool then cut off kernels. Cook bacon and crumble. Chop other ingredients and layer in bowl, then toss all together. Whisk together lime juice, olive oil and salt and pepper. Drizzle over salad. This looks fantastic! My fiance has been requesting BLT Salad and I had no idea what to do with it to make the recipe any other than just... BLT and avocado (or BLAT as we like to call it :)). The feta addition is perfection! Trying this tonight for sure. Looks delicious!! Will definitely add this to next week's menu! 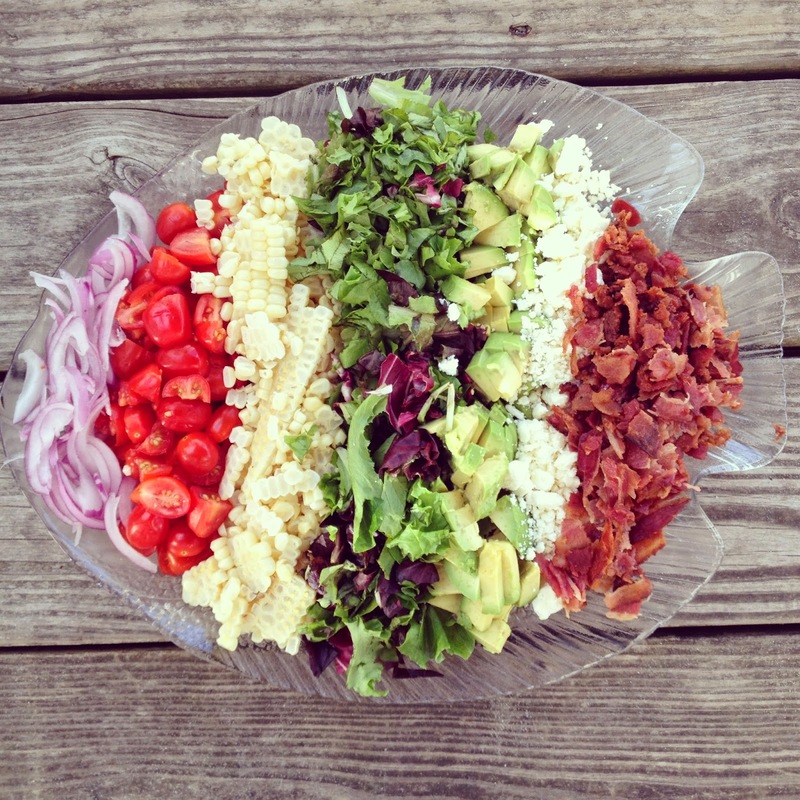 Now this is one salad that I would tear up!!!! oo I love me some bacon! This looks amazing! I will be adding this to our dinner list for the week. Thanks again for another great recipe! Oh hello, tonight's dinner. This looks amazinnnng and really easy! I willlll be making this! Looks yummy! I'll be making this too. Must try this recipe it looks amazing! I made this last night and it was AMAZING!!! Thanks for a great recipe! This looks amazing! I think this might become a popular dish around our house this summer. Yum!!! I am always looking for good creative ways to eat healthy especially in the summer, am definitely going to try this! I finally made this last night! It might be my favorite salad ever. Thanks for turning me into a salad girl! Also, I paired it with The Cold Cucumber and Avocado soup from Gwyneth Paltrow's cookbook. Highly recommend that soup.